We are trying to eat more greens, especially Kale this year. This is a great side dish. 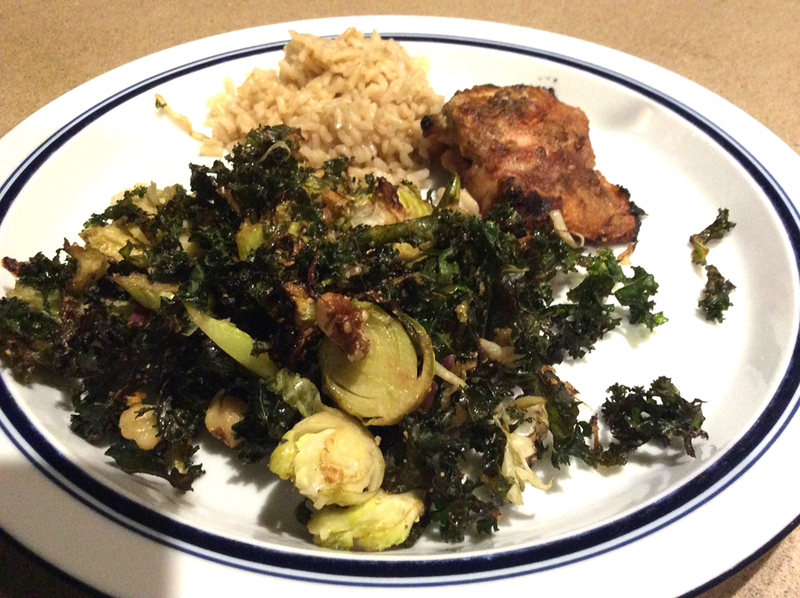 Wash and pat dry the Brussels sprouts and kale. 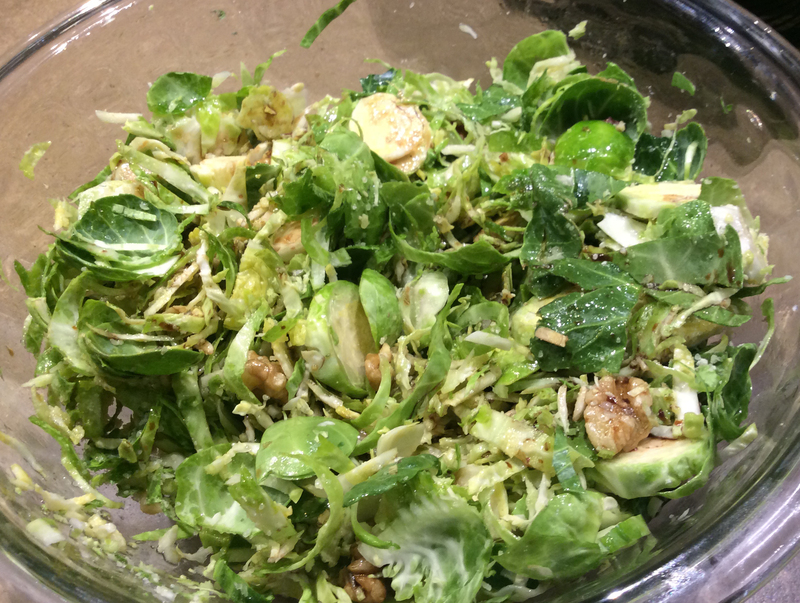 Cut the bottom stem off Brussels sprouts in half lengthwise. 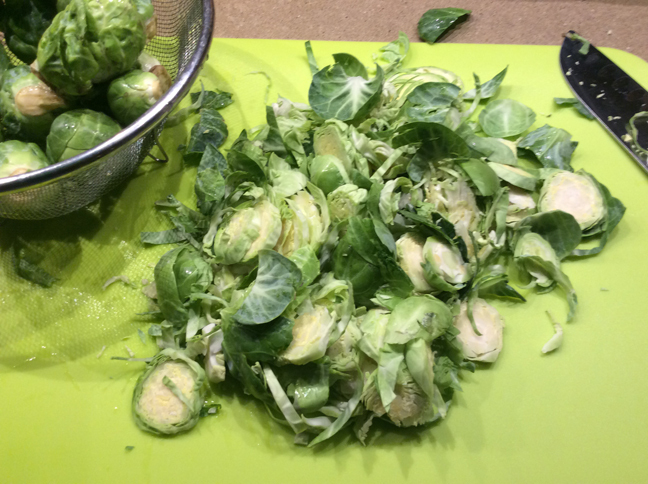 Using a sharp knife or mandoline, finely slice the Brussels sprouts crosswise to give you fine ribbons. Wash and remove the tough stems from the kale leaves and discard. in a large bowl place all the veggies and toss with Olive oil and balsamic. Add walnuts (you can also add some golden raisins for a sweet taste). Sprinkle with grated Parmesan. 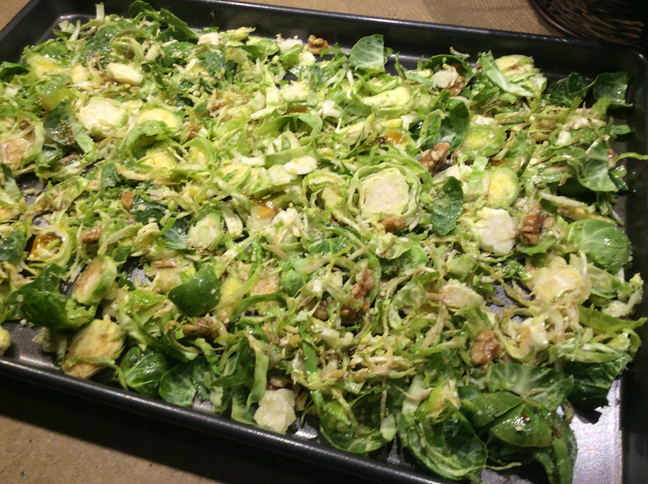 Spread out on a baking sheet and roast at 400 for about 12-15 minutes or until crisp. Sprinkle with Shaved Parmesan cheese.